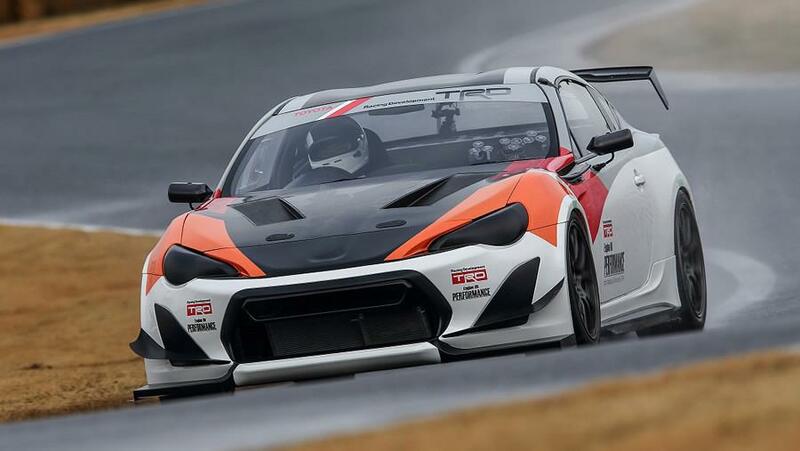 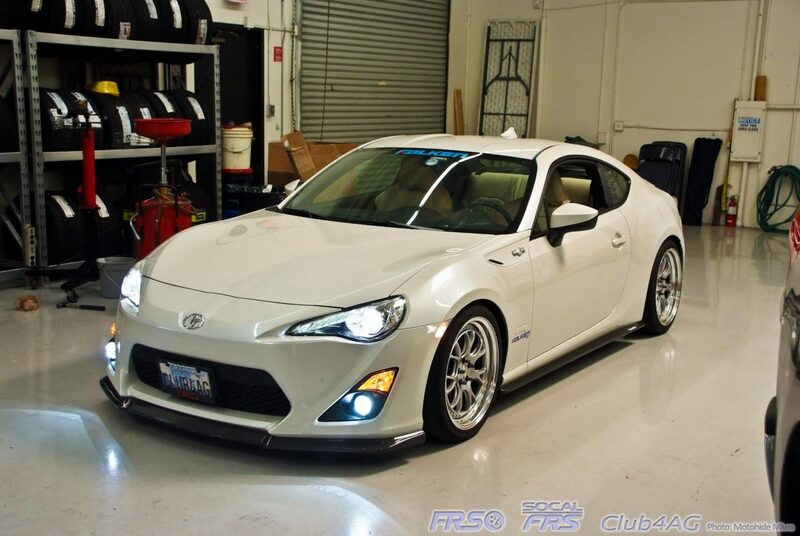 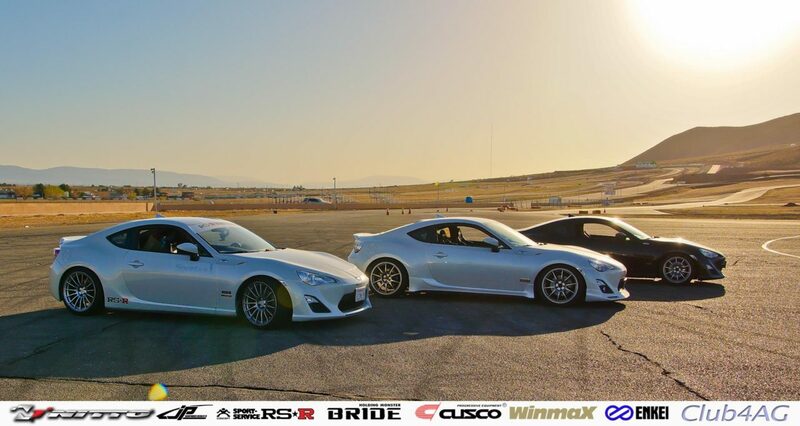 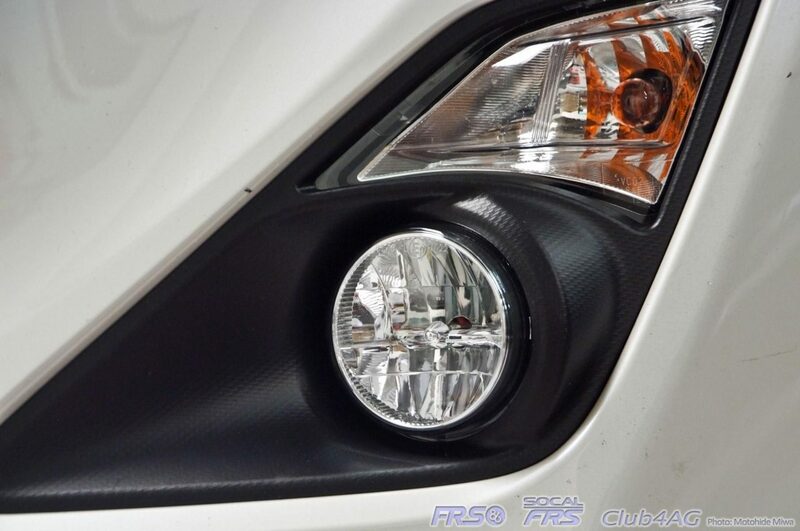 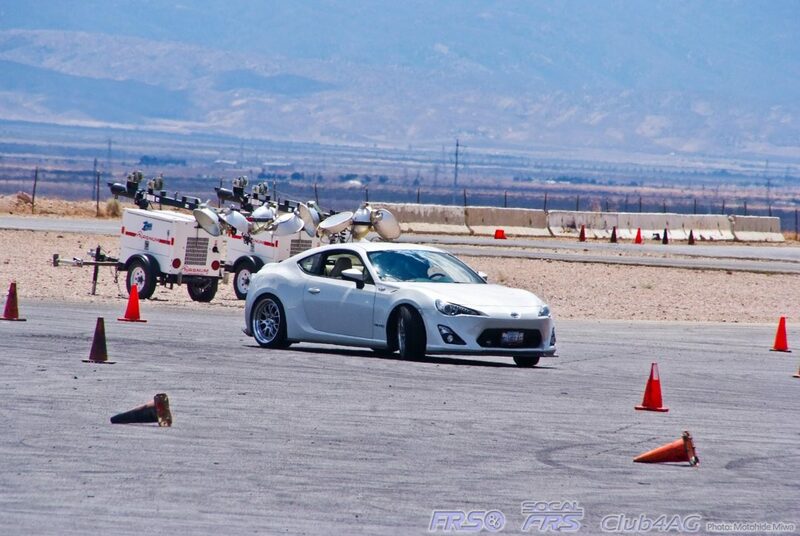 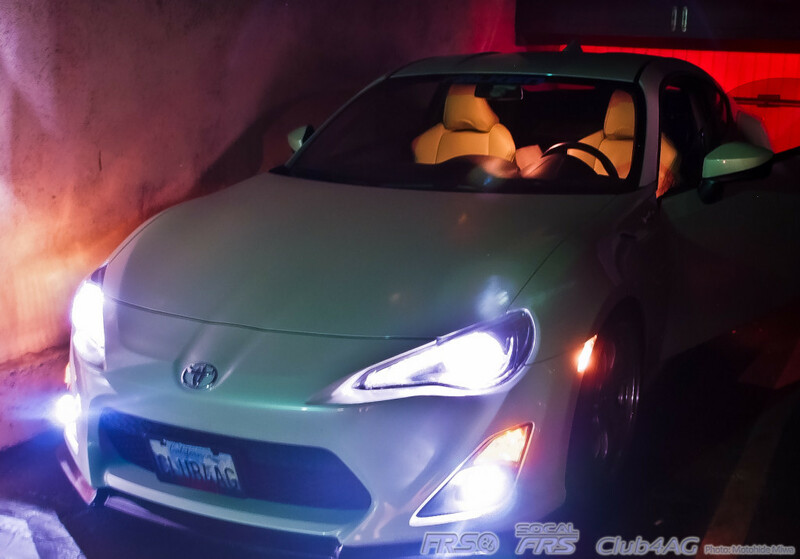 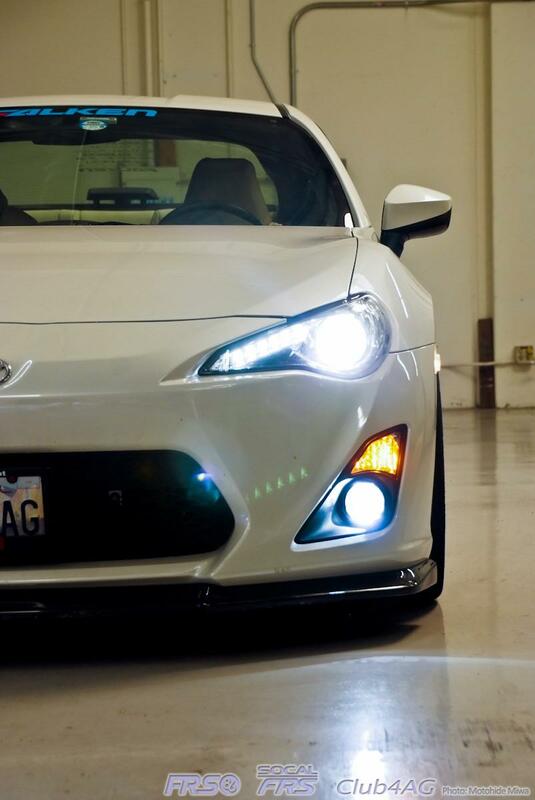 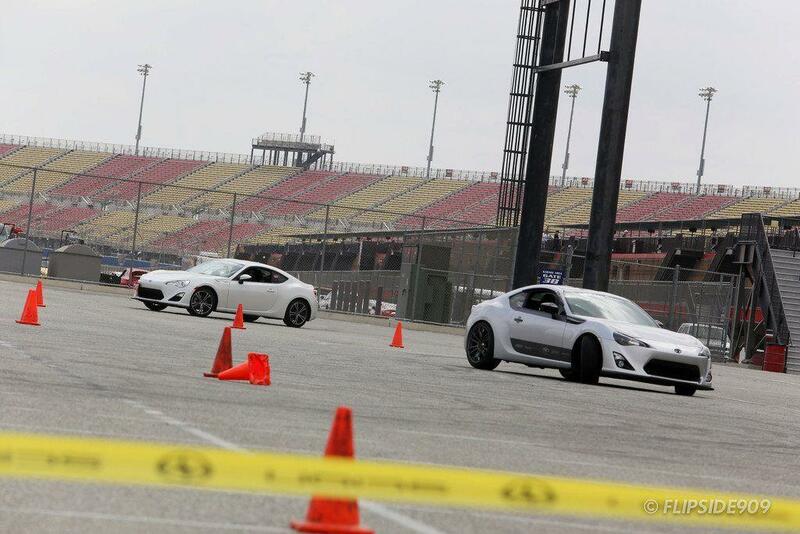 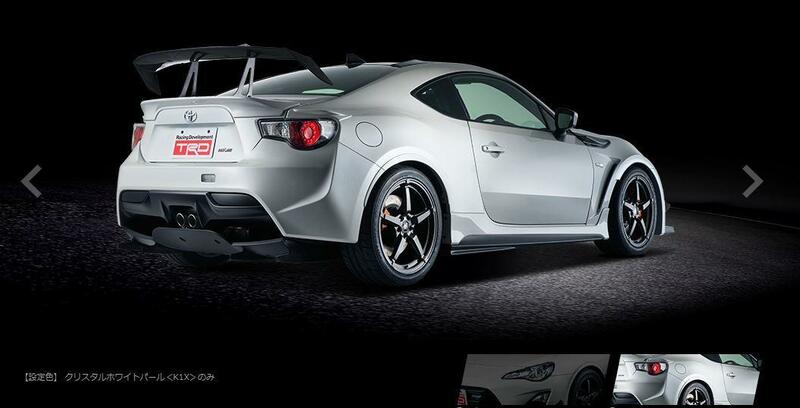 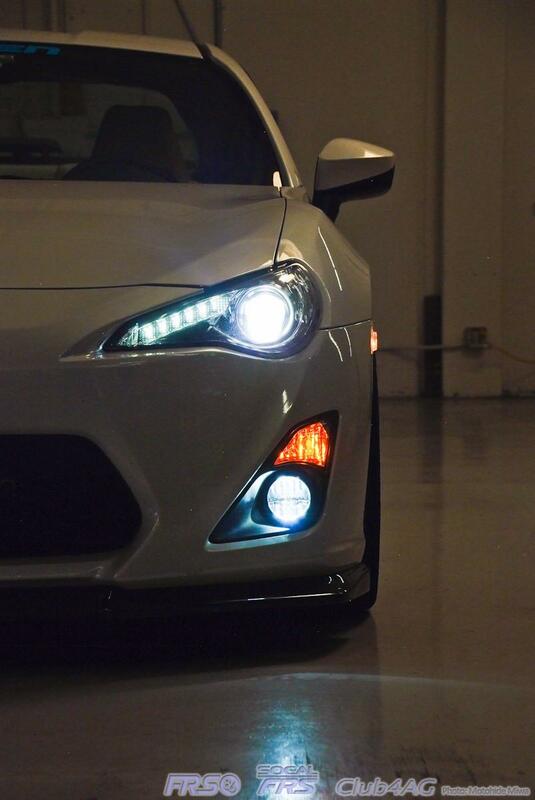 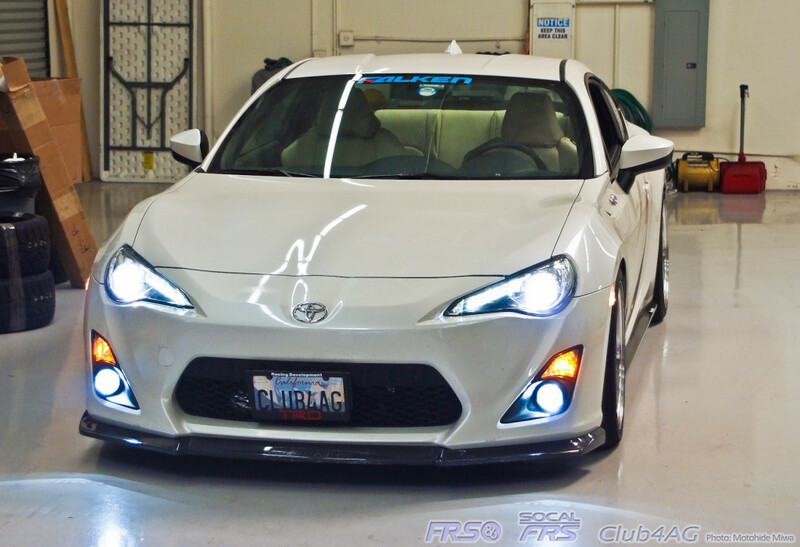 Home›FRS/ BRZ›PIAA LP530 RFT-LED Fog Lamps custom fitted to Club4AG Scion FR-S, borrowing pieces from motorcycle aftermarket technology. With a bit of fabrication, making my own custom bracketing, and digging through wires in the car with bumper removed.We were able to fit this Reverse Firing Technology LED fog-lamps on the auxiliary lamp compartment of the Scion FRS front bumper. 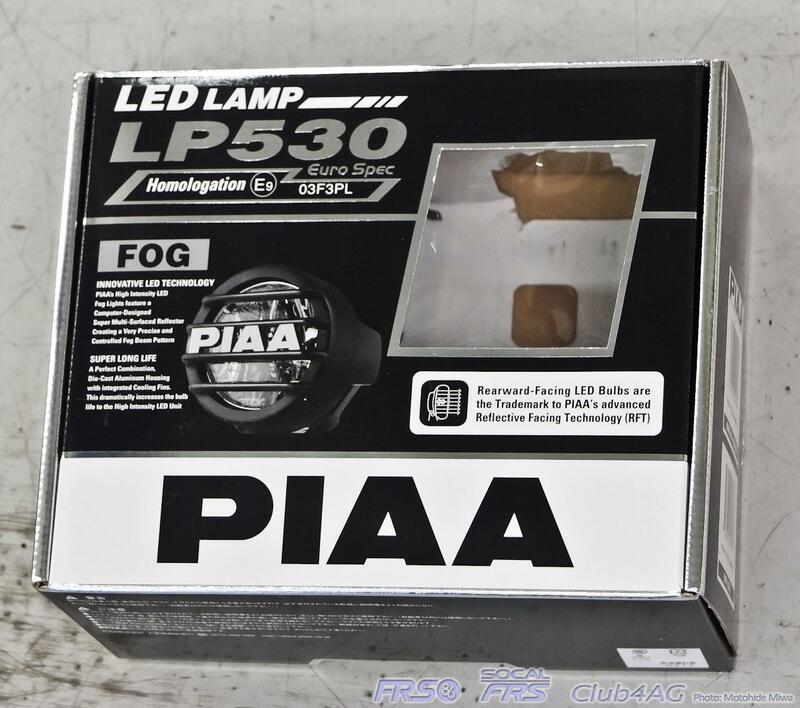 The lamps themselves, we looked to motorcycle world and found that the PIAA LP530 RFT-LED for a Yamaha Tenere Cross Trek Motorcycle had nearly the right diameter for a neat fitment. 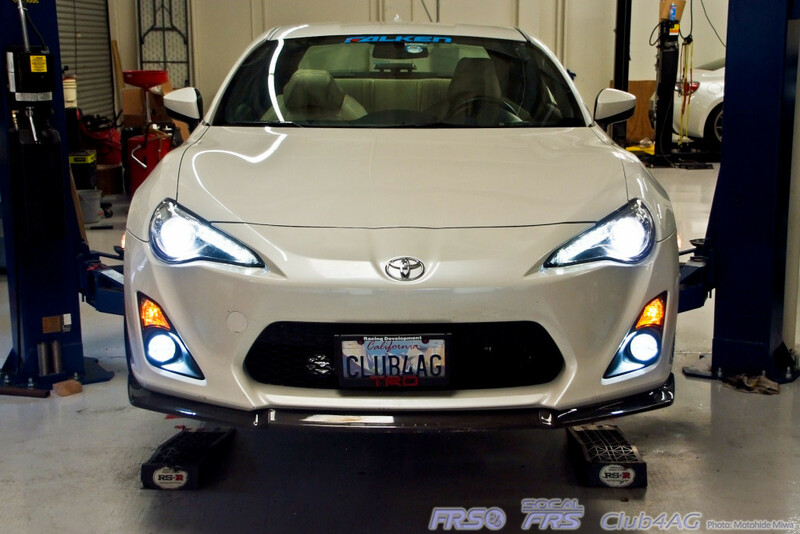 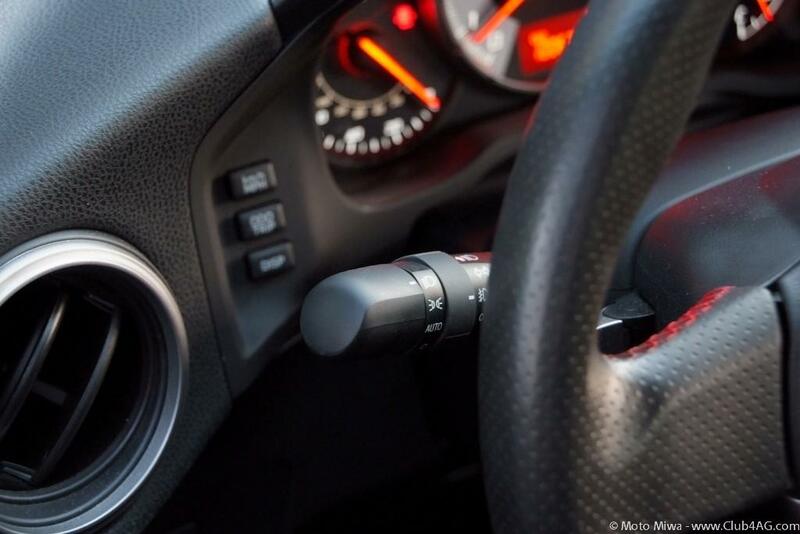 Keep in mind that this particular fog lamp assembly will require custom fabrication to fit in the FRS lamp mount, as these are not bolt-on lamps for the FRS. 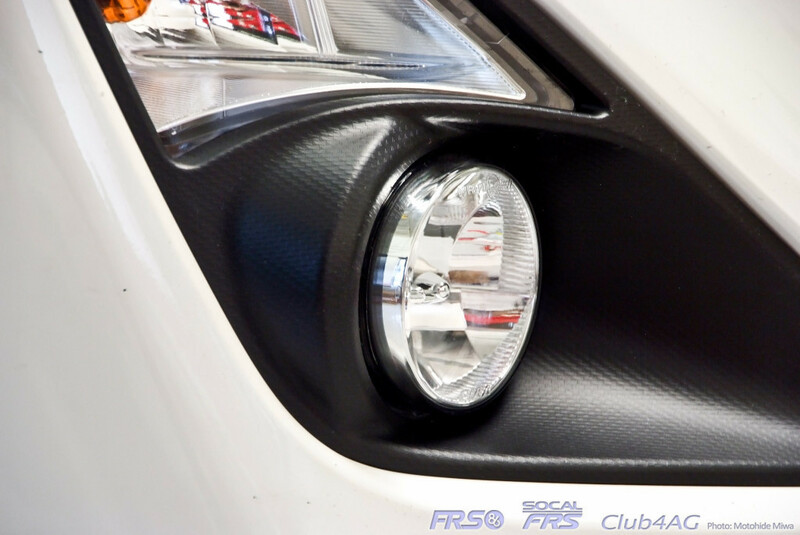 Both sides, on the front bumper Turn Signal Connector, there should be 4 pins, one of which is not used on the Scion FRS. 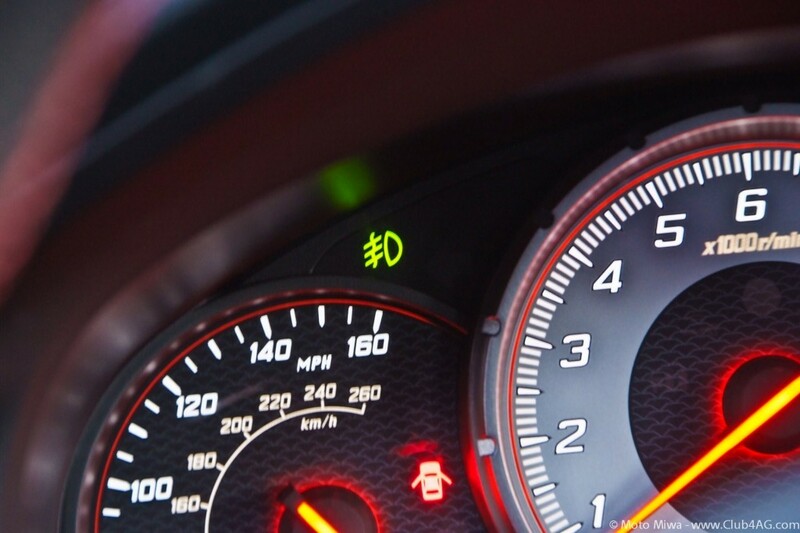 On the right side, this is a white/red stripe on the main harness side, and red/ white stripe on the left side. 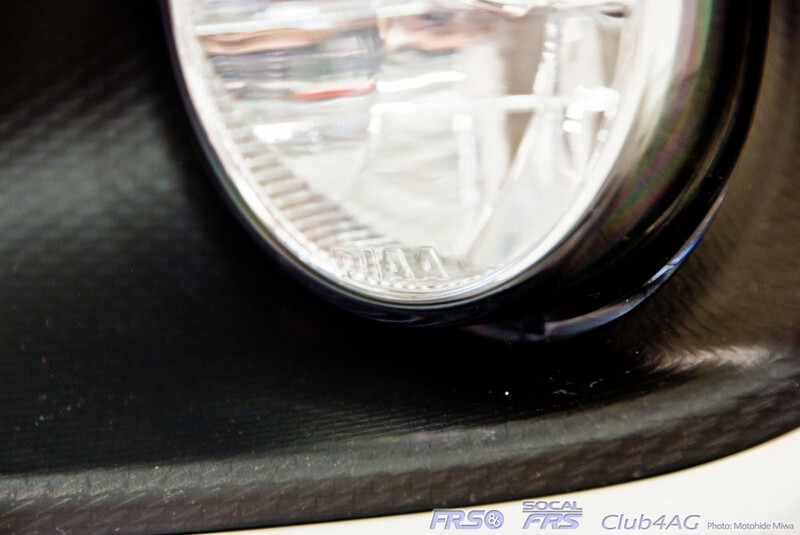 Ground the other negative pin of the fog lamp on the bare metal of the frame. 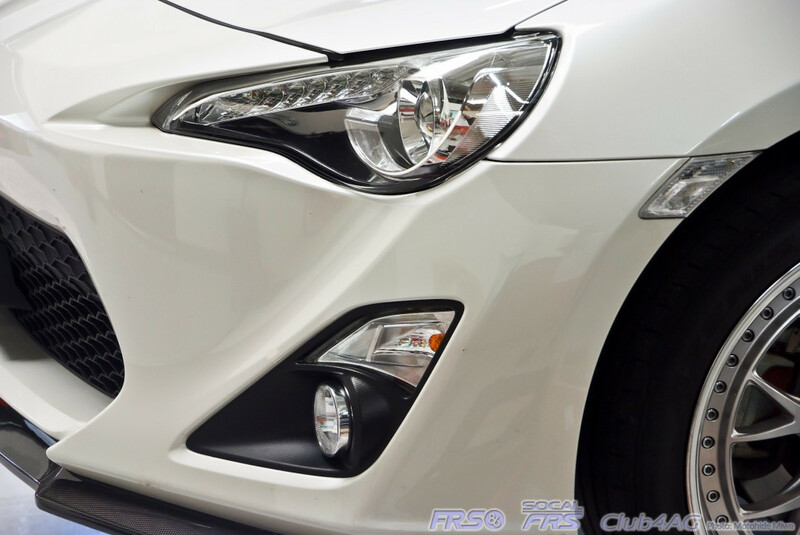 With the fog lamp relays enabled with the factory turn stalk from a Limited BRZ, everything else should simply be ready to go.Since the PIAA LP530 RFT-LED is a non-replaceable 6000K long-life LED Array panel, the housing is watertight and semi-permanently sealed. 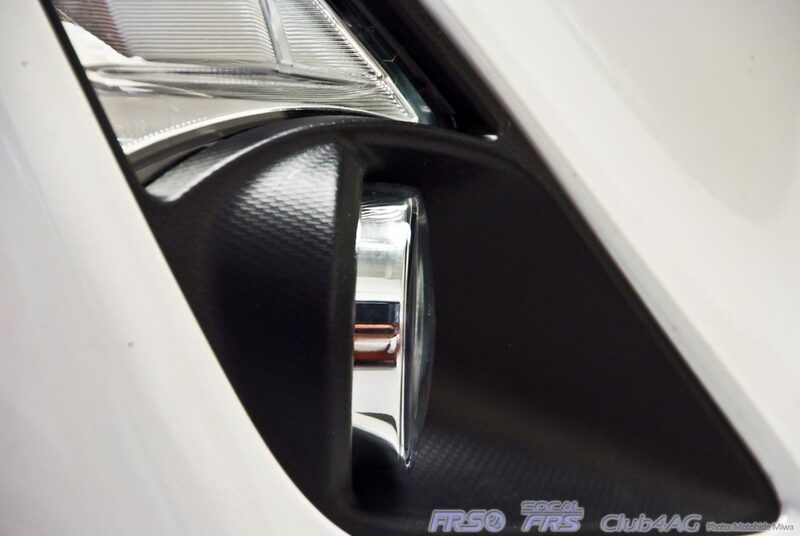 Ideally also these housings do not generate the high heat typical to halogen lamps, and therefore should keep the soft plastic sections of the bumper and trim from warping over time.